Those who have had success with TEEP share their journeys here through case studies, published articles, videos and sound bites. Many of the most successful TEEP schools are becoming TEEP Champion, Training and Ambassador Schools – find out more here. CUREE’s research [October 2016] provides robust evidence of the success of the programme and demonstrates why schools choose the TEEP programme – read more here. The TEEP Impact Report 2016 gives a fascinating insight into the short and long-term benefits of the programme. The report contains testimonials from those who have experienced TEEP and statistical analysis of improved school performance – read more here. Profiling the stories of the schools involved in the last four years, this newsletter gives amazing insight and information directly from the schools themselves and the impact they are seeing through TEEP – read more here. Hilton Primary Academy, is a school with 460 children in the North East. 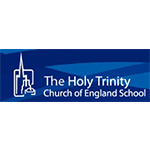 They believe in giving their children fantastic learning experiences through a diverse, rich and creative curriculum. Their aspirations towards continuing improvement, led them to find out more about SSAT’s Teaching and Learning Programme the Teacher Effectiveness Enhancement Programme (TEEP). Read more here. 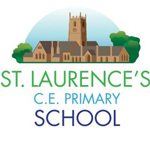 St Laurence’s CE Primary School was part of the pilot phase of the EEF project and saw a dramatic improvement through the hard work of the staff and students, with TEEP a key element in this. The school’s local newspaper spoke to the headteacher in March 2013 – read more here. The headteacher describes the impact of TEEP here. 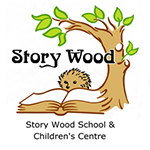 Story Wood School and Children’s Centre in Birmingham aims to provide an excellent education for all their children, so every child can reach their potential. Story Wood was looking for a cohesive and consistent school wide approach to teaching and learning, which would help them move on from being satisfactory to good. Now having heard those magic words from the Ofsted inspector ‘this school is outstanding’ they are convinced that their whole school approach with TEEP, helped them get there. Read more here. 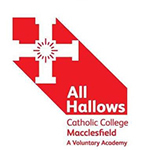 All Hallows Catholic College, Cheshire have a well-established model of teaching and learning. There’s a strong commitment to driving professional development throughout the college. They regularly run TEEP open days in order to share their best practice in teaching and learning with others, as well as providing training for other schools through excellent TEEP trainers they have developed over the years. Read about their journey here or for more information, visit their website. 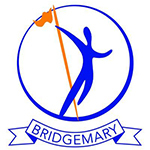 Bridgemary School opened as an academy on the site of the predecessor school in September 2012 and is sponsored by The Kemnal Academies Trust (TKAT). Ofsted reported the school as being ‘Inadequate’ but 18 months later – that changed when in February 2016, they were graded ‘Good’. Read here for the school’s blog on their journey. The sheer dedication from staff and students at the school is clearly evident but amazingly the school has credited a lot of their recent success to TEEP. Read more here, or watch a video about their journey here. 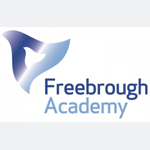 Find out more about Freebrough Academy’s TEEP journey. Irlam & Cadishead College, In 2016, under a new Principal, Irlam & Cadishead College began on the TEEP journey to address the identified need to concentrate the whole school on improving Teaching and Learning. The TEEP training reinvigorated staff and provided the structure to enable staff to share best practice, have open discussions and collaborate across all curriculum areas. Read more about how their journey moving forward here. 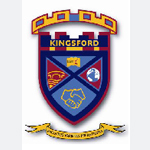 Kingsford Community School began their TEEP journey in autumn 2012 and in March 2013 were judged by Ofsted as Good with Outstanding features. Students say that the school’s new approach is having ‘a major influence’ on them as learners. They are not only acquiring the skills they need for life in the 21st century, but are also being enabled to take ownership of their learning. The school is now one of the very first TEEP Ambassador Schools – read more about Kingsford’s TEEP journey or watch a video on their journey. 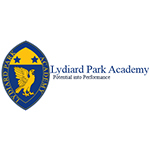 Lydiard Park started their TEEP journey in 2013 – since then they have come on leaps and bounds. They have moved from TEEP level one training, right through to TEEP level 3, where each department in the school now has a dedicated TEEP trainer. Read more about their story here. Read our article on Lydiard Park from the Spring edition of the Journal here. 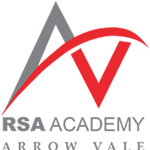 RSA Academy Arrow Vale, Redditch – Since the introduction of TEEP at RSA Academy Arrow Vale, in-house grading of lessons has found 97% to be ‘good or better’ and 50% to be ‘outstanding’. Three years ago, only 50% of lessons were deemed ‘good or better’. TEEP has had an enormous impact on teaching and learning, and more. Three years ago, the school had experienced very considerable turbulence and was facing many challenges. However, the introduction of TEEP to build on a previous teaching and learning model has created consistency and dramatic improvement in quality of lessons across the school.When looking around the school, TEEP is varied and tailored to different contexts. Improvement has been phenomenal – leadership has used TEEP as the main teaching and learning strategy across the entire academy. Two TEEP level 3-trained staff lead implementation across the school with great enthusiasm and effect. Ten minute show-and-tell sessions that cover the elements of the TEEP cycle are held weekly and teachers are frequently sharing ideas and providing feedback to one another. Two types of coaching programmes take place – one is an action plan for teachers that need improvement and the second is designed to take ‘good’ teachers to ‘outstanding’ – both have had huge impact. Every lesson plan uses elements of the TEEP cycle, depending on the scheme of work. It is now central to all aspects of school life. Watch a short film showcasing the impact of TEEP at Arrow Vale here. 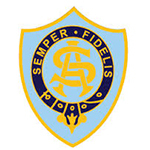 St. Anne’s Catholic School is a slightly larger than average-sized secondary school for girls with a small sixth form college that accepts boys too. Ofsted’s last report in 2012 awarded the school be ‘Good’. The school strived to become outstanding and with dedication and hard work from staff and pupils and CPD in the form of TEEP, the school was awarded an Ofsted report of ‘Outstanding’ in 2016. Read here for more of this school’s experience with TEEP and going from good to outstanding. While St. Augustine’s Catholic College is an ‘outstanding’ school, the headteacher is far from complacent and has made teaching and learning the main focus of continued improvement. Following TEEP training, staff plan collaboratively and share an open approach to resources which has enriched their practice. There is a strong correlation between the lessons observed which are graded ‘outstanding’ and the use of the TEEP learning cycle and it’s underpinning elements. Feedback suggests that teachers are feeling more confident about handing the learning over to the students. Read about the college’s TEEP journey here. Our TEEP tree is growing beautifully one year on and we look forward to everyone savouring the fruit in the next three years as we move towards TEEPtopia. 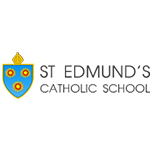 St Edmund’s Catholic School is a smaller than the average secondary school with a proportion of students who speak English as an additional language above the national average. The senior leadership team has been through a period of significant change in recent years but due to aspirations to do better, a clear goal of becoming outstanding and completion of TEEP training, the school was awarded an ‘Outstanding’ grade in 2016. Read more here. The St Leonards Academy opened in 2011 after a merging of two predecessor schools, The Grove and Filsham Valley. Ofsted reports stated that both schools offered a satisfactory standard of education. 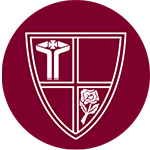 The St Leonards Academy was formed as part of the Hastings Academy Trust, led by the University of Brighton with BT and East Sussex County Council. Ofsted inspected the Academy in May 2013 and graded the academy as a ‘good’ school. At this time, the Academy had established a good standard of teaching in core subjects and students’ achievements were improving rapidly from low starting points. However, it was recognised that teachers were not stretching the most able or using prior data to set challenging work. There was also some work to do on improving consistency. In 2015, every member of teaching staff undertook TEEP level 1 training to help develop a consistent approach to planning and teaching, improving the overall quality of teaching and learning. The training was well timed as the Academy had made significant progress from the last Ofsted inspection but really wanted to ensure that there was a consistent framework for improving progress for all students. The Academy did not have a specific lesson plan model that was used. The three day training was a chance to reflect on practice and consider how we make TEEP fit with the innovative practice that was already in place. One of the biggest revelations was the importance of ‘construct meaning’. This was once feature that teachers felt was missing in lessons. After TEEP level 1 training it was agreed that teachers would use the cyclical TEEP template to plan phases of learning and all lessons would display the phase of TEEP clearly so that staff and students were clear about what cognitive processes were being developed. It took only a few weeks for TEEP language to creep into staff conversations; asking for resources or ideas that would ‘construct meaning’ or ‘review learning’. TEEP provided that commonality that staff were looking for to discuss learning. Throughout the year, most CPD was delivered using TEEP as a focus. The weekly teaching and learning briefings had a termly TEEP focus where staff could share great practice and resources. Additionally, weekly CPD sessions further looked at the development of TEEP and how it could be used to enhance great classroom practice. Teaching and learning communities were formed which used action research to measure the impact of aspects of TEEP on student progress. Teachers felt empowered with a common ideology which allowed for deeper and more meaningful discussions about learning. In June 2016, eight members of staff took the TEEP level 2 training which was a fantastic experience. It really boosted confidence and generated so many new ideas to take into the next year. The Academy results for 2016 were also the best results ever with a progress 8 score of +0.46 and within the top 10% of SSAT schools in the country. Ofsted inspected the academy again in 2017, praising the good quality of education offered and recognising that the vast majority of students make good progress with some exceeding age-related expectations. Moving forward, TEEP has now been used to develop a mastery KS3 scheme of work for all EBacc subjects which allows students to make rapid progress concentrating on depth rather that breadth. TEEP continues to underpin classroom practice at the academy and continues to provide the framework on which to build outstanding teaching and learning. 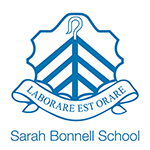 Sarah Bonnell School received a ‘satisfactory’ judgement for teaching and learning in 2011. After researching different models of development, TEEP was chosen by the school for its clear and cohesive approach. Read more here. A rejuvenated passion for teaching and learning across the school was immediately evident after the first two days of TEEP training. There was an explicit focus on teaching and learning and sharing good practise with a desire shown by staff to be involved in developments and an eagerness to be up-skilled. There was a 12% increase in lessons being graded ‘good’ or more following the training. The Streetly Academy has for a long time been regarded as an innovator in the use of digital technologies to enhance performance for both students and teachers. We were judged as Outstanding by Ofsted in 2012 and have been on a mission of systematic and continuous school improvement since. We have trained all teaching staff to Level 1 at the end of 2015/16 academic year and also run our own internal coaching programme run by level 2 trained staff as opposed to performance management observations. We want all staff to demonstrate sustained improvement over time and we view TEEP as a part of our pathway to become truly exceptional. We are very proud of the impact it has already made for everyone at Streetly. 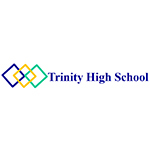 Trinity High School began its TEEP journey in 2008/2009. At the time the school was in national challenge with GCSE results of 32% including Maths and English. The school were looking for a framework with a set of principles which would support the whole school to improve the quality of teaching and subsequently improve results. Find out more here. We set out on our TEEP journey in 2013, following the appointment of our new Head, Paul Kennedy, in the summer of 2012. In late 2012, the school was judged RI for the second time. We had below average results at GCSE, and whilst we had pockets of excellent classroom practice, standards of teaching and learning across the school were inconsistent. Coming from a TEEP background in his previous school (Melksham Oaks In Wiltshire, now TEEP lead School) Paul advocated TEEP as providing ‘freedom in a framework’; a consistent framework we could all share, but one that would nurture innovation and creativity too. All teaching staff were TEEP trained in the Autumn of 2013. The training marked a significant turning point in our journey towards better and more consistent classroom practice. While we know TEEP is not a magic wand, with whole school commitment, hard work and a shared belief that we could do it, two years on, we have moved from requires improvement to good. Our GCSE results in the Summer of 2014 were the best the school has had, with 73% of our students achieving 5 A*-C with English & Maths, from a low of 54% the previous year. We now have a team of 15 staff trained on TEEP 2, including four lead Practitioners, with more staff waiting for TEEP 2 training this summer and two colleagues preparing for TEEP 3 training starting in July. Our TEEP practice is sustained and encouraged though sharing of resources, evening drop in training, regular, timetabled coaching, half termly sharing of good practice sessions, weekly TEEP Top Tips and a lot of informal conversation! TEEP for us has been genuinely transformative and enabling for staff and students – although we’d say we are still on foothills of the TEEP journey, we’re looking forward to next steps, particularly to sharing good practice with and learning from others. 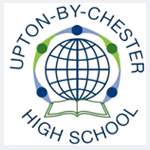 Upton by Chester High is a thriving, vibrant school with a proud record of academic excellence and success. We have been a TEEP school since 2012. The TEEP model is fully embedded within lessons. Our TEEP champions have been instrumental in ensuring that teachers regularly share good practice and the latest research in order to inspire and excite our students in their learning and indeed Ofsted said that ‘Teachers have good relationships with students… they engage students well and promote a love of learning’ (May 2015). We are at the forefront of innovative technology; all of our Key Stage 3 students have their own iPads to use both in the classroom and at home, to further enrich and enhance their education. In July 2015 we became an Apple Regional Training Centre for Chester. This fully supports our school motto of ‘Learning to Shape the Future’ which so aptly encompasses all that we do. Ofsted also stated that we have an ‘Outstanding’ Sixth Form. As one of the largest and most successful Sixth Forms in Chester, many of our staff also choose Upton for their own children’s education, which is a superb endorsement of just how good we are. Find out more about Upton’s TEEP journey here or by visiting their website. Ysgol Brynrefail are a bilingual secondary school in a predominantly Welsh-speaking area of North Wales. 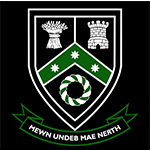 In 2012/4 Brynrefail were put in the RI category following an Estyn inspection. Following this, the local authority categorised the school as amber (in need of monitoring). Teaching and learning were at the forefront of the areas that needed improvement. A new SLT was established in 2015, and promptly enrolled all teaching staff on TEEP level 1 course. This then led to staff members being selected to complete both level 2 and 3 training. The impact of TEEP was immediately felt, both by teachers and students and has become an integral part of everyday life. 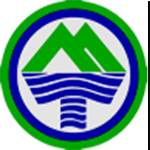 In 2017 the school became the only green coded school within the authority. TEEP, without a doubt, has its part to play in this success. Brynrefail is the first school to use TEEP in a fully bilingual Welsh/English capacity.Find out more about Ysgol Brynrefail by visiting their website. Ysgol Emrys ap Iwan is the first school in Wales to undertake TEEP training and through TEEP has made the core business of the school the core business – teaching and learning. Since starting on their TEEP journey in 2013 they have continue to improve and demonstrate how through a relentless focus on teaching and learning and having common language for learning it has enabled them to provide an ever improving education for their students. Read more about the TEEP experience at Emrys ap Iwan. Mount Tamar School started their TEEP training in 2015 after attending an open day to find out more. Since then, they have transformed teaching and learning in their school to match the needs of their students with a variety of complex needs. The staff all fully committed to TEEP by sharing their ideas, working together to take lessons from the everyday to the abstract and using a common language to discuss teaching and learning. This has enabled their students learning and participation to flourish and teachers right across the school are re-invigorated and re-inspired. Read more here. 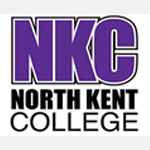 North Kent College, a large college with disparate staff across 21 curriculum areas, decided to develop a cross-college approach to learning, to give the staff a common framework and language to improve teaching and delivery styles. They wanted to ensure sound pedagogical strategies and techniques that staff could use in their varied learning environments. Their teaching and learning team explain how they have brought in and sustained TEEP across the college here.